Sasha is a Coastal Planner with the Chesapeake & Coastal Service of Maryland Dept of Natural Resources. Her focus on is delivering science-based information to communities and decision makers to reduce the impacts of flooding and sea level rise and adapt to changes associated with those impacts. As part of her role, Sasha is responsible for running and coordinating the Coastal Training Program (CTP) for the Reserve. 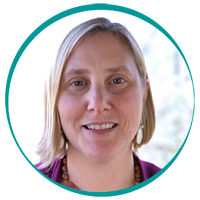 She has worked for over ten years on Chesapeake Bay conservation and policy issues at a variety of different organizations including the Chesapeake Bay Program and Smithsonian Environmental Research Center. Sasha graduated from St. Mary’s College of Maryland with a BA in Biology and grew up on the Eastern Shore of Maryland. She currently lives in Arnold, MD with her husband and two elementary-aged children and loves to go on adventures throughout the Chesapeake region. To contact us, complete the Google Form below.